The call for Giving Tuesday went out, and associates responded. They’re supporting the One Vision Campaign and the future of Doylestown Health. Started in 2012, Giving Tuesday is an international day of philanthropy. 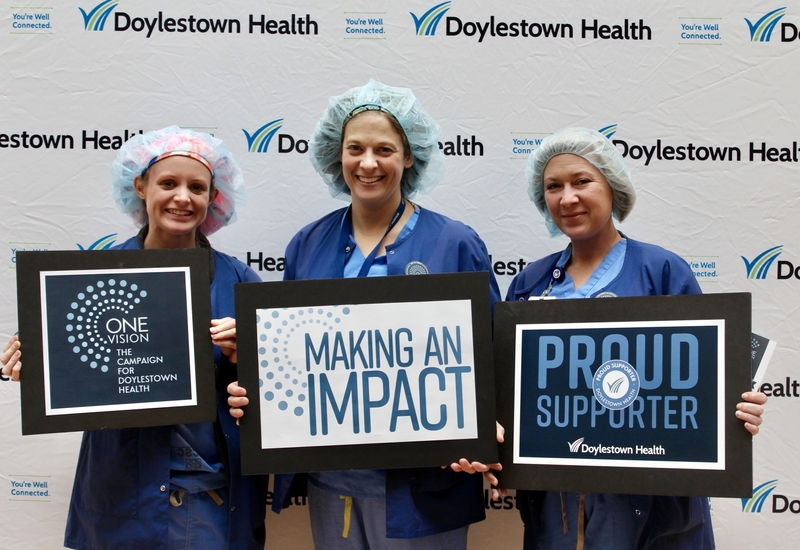 Many Associates, Volunteers and members of the Doylestown Health Medical Staff were excited to participate in this global day of giving and pledged their support to the One Vision Campaign. As a way to say “thank you”, donors of $25 or more were entered into a drawing for a chance to win a covered parking spot in the hospital garage for one year or a three-month membership to the YMCA of Bucks County. The drawing was held on Friday, November 30 and the two lucky associates were chosen! You can visit the Giving Tuesday page and make your gift or pledge of support any time.